Quickly Restore Data from Corrupt Windows 7 Backup Files - Due to day by day's growth in computer science and information technology, new features and techniques emerging and applying on the system software and operating systems. These unique features support the computer system to make reliable, fast and easy to perform different type of operation. However there are some such types of errors or a reason that makes our system to get down in thrashing condition and degrades system performance. Some time it destroys and damages our system important files or database. So to restore the corrupt file and database it is must to prefer an advanced and powerful tool which can recover & repair corrupt Windows backup database. That's why after facing user problem and analyzing systems errors we have developed BKF Repair Tool which provides complete solution to restore files from Windows XP Backup to Windows 7. Why User Gives Priority to MS BKF Recovery Softaware! 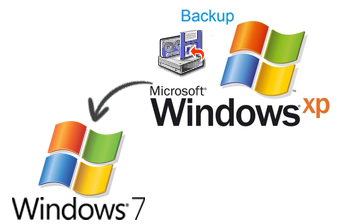 We know it very well that Windows 7 does not installed NTBackup utility by default when we install it in our system. So this is a great challenge how to restore files from Windows XP Backup to Windows 7. After uninstalling Windows XP, we load Windows 7 and face this problem how to recover Backup files. But don' get nervous Corrupt Backup Tool will help you to defeat this problem in simple and fast ways. This tool is developed to keep the mind of user's problem and their requirements. Unique Features of BKF Repair Tool! Require a little knowledge of user interface and technical. Reduce data inconsistency and data redundancy. Provide best and fast recovery of corrupt windows database files. Recover all types of file such as images, text, audio, video and any format of file. Now user can save specific search files in the desired location. Users can select the range of .bkf file with two options "Set complete range" or "Set partial range".